NEW YORK -- Federal officials say Ahmad Khan Rahami, the man charged with planting explosives in New York City and New Jersey, bought bomb ingredients on eBay and wrote “Death To Your OPPRESSION” in a journal. 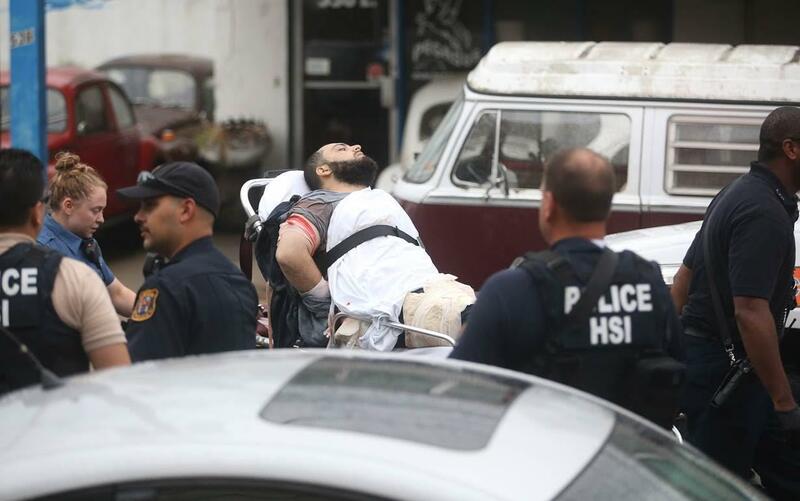 A criminal complaint was unsealed Tuesday at a federal court in Manhattan charging Rahami with four counts, including use of a weapon of mass destruction. According to court documents, between June 20, 2016 and August 10, 2016, eBay user “ahmad rahimi” purchased several items the FBI investigator described as being used in improved explosives including a Citric Acid USP/Food Grade 5Lb pack, “great for bath bombs and candy making.” Also, “10PCS Protoyping PCB Printed Circuit Board Prototype Breadboard” and an item for fireworks firing system electric igniters display, CBS News justice reporter Paula Reid reported. Investigators said Rahami packed the pressure cooker with BBs, ball bearings, Christmas lights, and an explosive called Tannerite. He used a flip phone as a detonator. The bomb was similar to those used by the Boston Marathon bombers and a device left behind by the San Bernardino shooters, which did not go off. “The investigation is ongoing, so as we develop more information, we continue to go but I have no indication that there is a cell operating here,” New York FBI Assistant Director William Sweeney Jr. The complaint also includes excerpts from a handwritten journal authorities say they he wrote. It wasn’t immediately clear whether Rahami had a lawyer who could comment on the charges. Officials tell CBS News the naturalized American citizen born in Afghanistan and living in New Jersey left behind a notebook, found with a bullet hole in it, along with a handwritten note. Both pieces of evidence contain written rants, suggesting that he was a consumer of multiple radical ideologies by several different terrorist organizations, reported CBS News homeland security correspondent Jeff Pegues. However, investigators don’t know if he was directed by a terrorist group or inspired by one. William Sweeney Jr., the FBI’s assistant director in New York, said there was no indication so far that the bombings were the work of a larger terror cell. Federal officials had investigated Rahami recently. In 2014, after a stabbing at the family home in New Jersey, police responded. Rahami was said to have stabbed one of his siblings. During the investigation, the father was re-interviewed. He again recanted the “terrorist” claim. Nothing was found to back up assertions that Rahami was a terrorist. The stabbing charges were never filed. While officials say Rahami traveled to Afghanistan multiple times, and at least once to Pakistan, it’s not clear at all what exactly he did while in those places. An Afghan official tells CBS News that during Rahami’s last trip there, in 2014, he is believed to have traveled over land from Pakistan, as there is no record of him having entered through Afghanistan’s airports.